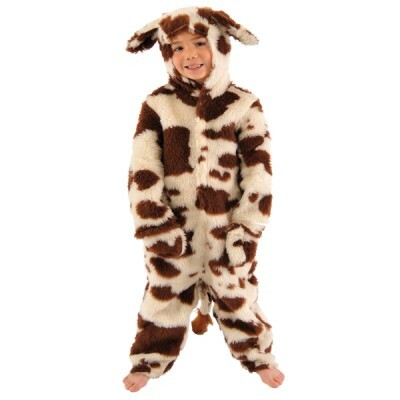 A cosy child’s patterned fur brown cow costume. Includes tail, mittens and hood. Machine washable at 40ºC on a delicate cycle. Each size will fit up to the maximum height in that range (please measure from floor to top of head). Wherever possible, waists are elasticated and use "Hook and Loop" fasteners for easy movement. If the costume is to go over your child’s own clothes you should consider buying a larger size. 4 to 6 years 116 cm 46"
6 to 8 years 128 cm 50"
8 to 10 years 140 cm 55"